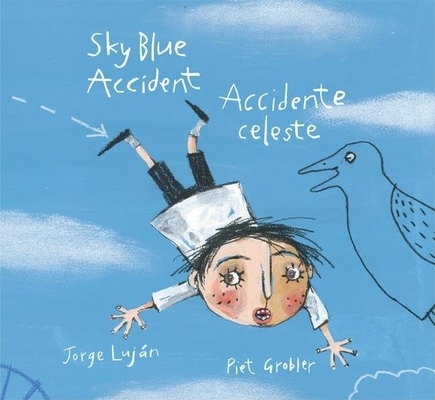 This sweetly whimsical book describes a little boy who falls from his bicycle and crashes into the sky. The sky shatters, but the little boy puts some of the broken pieces into his pocket and, in the end, saves the day. The combination of Jorge Lujan's nonsense rhymes are well served in Elisa Amado's translation, while Piet Grobler's illustrations are a delightfully playful treat for eyes and ears.